On the afternoon of September 6, 2018 Jilin Quality-chracteristic Agriculture Products Publicity and Promotion Conference themed on "Agriculture products of quality from Jinlin, Delight to spread reputation by everyone" was held in Tianjin Hotel. The conference was co-organized by Jilin Provincial Agriculture Committee, Tianjin Municipal Commission of Rural Affairs, and Jilin Provincial People's Government Office in Tianjin, and supported by Jilin Chamber of Commerce in Tianjin and Jilin Heping Grand Theatre Group Co., Ltd. 42 companies from all regions of Jilin Province attended the conference, with more than 200 high-quality agricultural products in 6 categories being displayed. Liu Fusheng, President of Global Photography, was invited to participate in the promotion conference. Jilin Province is a large agricultural province in China, and also an ecological demonstration province. It has abundant resources and a unique ecological environment. The agricultural products are various in kinds and of good quality. In recent years, Jilin Province has been "Developing agriculture through product quality, green operations and brand building", making strenuous efforts to build up brands for Jilin high-quality agricultural products. As a result, more and more Jilin agricultural products have become synonymous with nutrition, health and safe food. 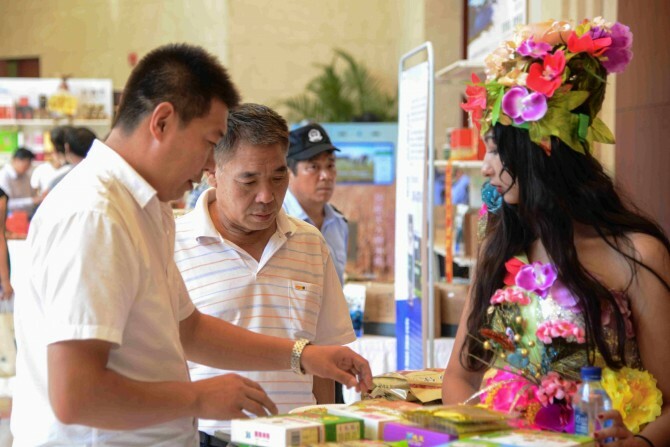 At the conference, Yu Qiang, Director of the Agriculture Committee of Jilin Province, first delivered a speech: "In the new era of consumption upgrading, the vast number of consumers in Tianjin have put forward higher requirements on agricultural products. I believe that with the support of Tianjin, this event will surely achieve fruitful results and promote agricultural cooperation between the two places to a new level." Yang Qingsong, Chief Economist of Tianjin Agriculture Committee, said: "Tianjin and Jilin Province have different scales and distinctive characteristics in agriculture, and they have a good foundation and potential for deepening cooperation. With this promotion conference as an opportunity, the two places will further deepen their cooperation, such as combining the capital, technology and market advantages of Tianjin agriculture with the rich agricultural resources and industrial base of Jilin Province, so as to accelerate the development of agriculture in both places and achieve mutual benefits." The conference also featured performances such as singing and dancing, stunts, Couple Dance Opera, instrumental performances, and runway shows. Agricultural and livestock products, such as Deleyuan fresh corns, Fuyu peanuts, Dehui rice, Wangqing black fungus, Changbai Mountain ginseng, and Dongdeng sika deer, were also featured and detailed introductions were given to the conditions of production, nutrients, brand connotation and folk culture of these products. At the promotion conference, Yu Qiang, Secretary of the Party Committee and Director of the Jilin Provincial Agricultural Committee, and Yan Shukai, Director of the Jilin Provincial Government Office in Tianjin, delivered the plaque of "Jilin Changbai Mountain Agricultural Museum". Changchun Shenghua Agriculture, Dadong Village of Chongshan Town, Helong City, Dongfu Rice Industry of Jilin City, Xixi Agriculture of Jilin Province signed cooperation agreements with Jilin Chamber of Commerce in Tianjin. The two sides will carry out in-depth cooperation on rice and potato marketing, agricultural tourism, targeted poverty alleviation and other fields. Leaders of Changbai Mountain Administrative Committee and Jilin Chamber of Commerce visit Global Photography for business talksLeaders and officials from Jilin Province paid a return visit to the Global Photography headquarters in Tianjin for business talks on September 3rd.